He hath holpen his servant Israel, in remembrance of His mercy- as he spoke to our fathers, to Abraham, and to his seed for ever. Adam was made in the image and likeness of God. Adam was made in a state of innocence. Adam walked naked and was not ashamed. In his innocence, Adam knew nothing of evil, for evil was not there to be known. As yet, Adam had no need of conscience – man gained his conscience through the fall. The serpent said … your eyes shall be opened and you shall be as gods knowing good and evil. Gen.3:5, but the serpent omitted some vital truth in his earliest and most malignant lie. The serpent left out the material part of the truth – the shocking, awful truth.. that Adam would know good – without the power to do it, and that that Adam would know evil – without the power to avoid it. The point where they tried to raise themselves to the pinnacle of moral existence, was the point they lost the very ground of elevation they had been given – innocence. Our first parents became degraded souls.. forever separated – separated from the love and grace of God. They became powerless Satan-enslaved, conscience-smitten.. terrified creatures. The eyes of both were opened, but what a ghastly sight they discovered, for they found they were naked: wretched; miserable; poor; blind and naked. Yes, they knew they were naked – sad fruit of the tree of knowledge. But remember God’s everlasting mercy. Man’s conscience tries to find repose in religiosity and self-approval, yet man’s conscience cannot find approval in any semblance of self, self- importance; self- reliance; self-sufficiency; self-will – self-seeking. Man’s conscience cannot approve in any semblance of self. 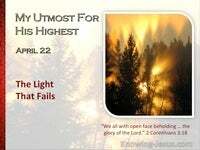 How much less can a holy God, Whose His eyes behold the very thoughts and motives of man. Man will therefore turn away and try to hide his own shame: sad, lonely, hurting, shameful, fearful man! 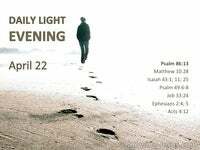 Adam walked with God in the cool of the evening, yet Adam did not know God. Do you? 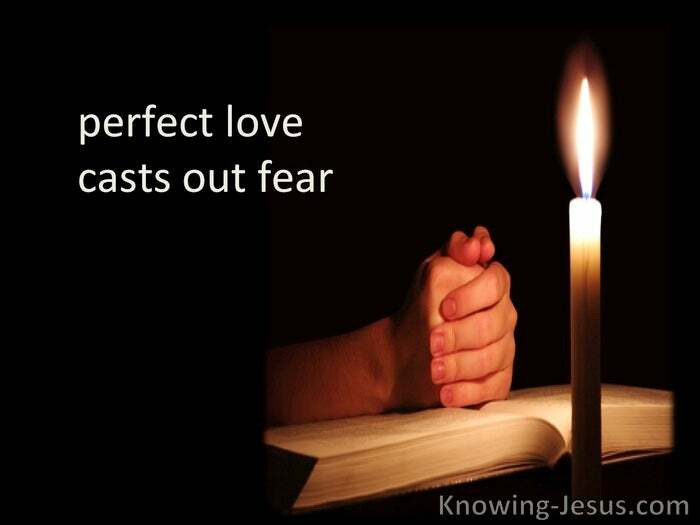 Had Adam truly known God’s perfect love, he would not have been afraid for it is written, there is no fear in love, but perfect love casts out fear. And it is also continues: He that fears is not made perfect in love. Praise God that there is something beyond the conscience – of what I am. Praise God there is an unveiled mystery and a revelation – of what God is. God had only partially revealed Himself to Adam, in His creation, but He had not as yet revealed the deep secrets of His nature and character. Through creation God demonstrated His eternal power. It demonstrated His eternal power and glorious Godhead, and walking with him in the cool of the evening, He revealed more, He revealed Himself to Adam as a relational God – a relational God that showed mercy to Adam and Israel – Mercy that began with its roots in the glorious garden – through Adam’s fall.. mercy that spans the ages of man, but a mercy which began with Satan’s meddling! Satan’s meddling in God’s creation, resulted in his own eternal defeat and confusion. 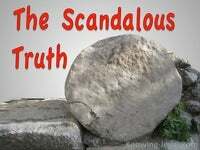 His lie gave occasion for God’s truth to be eternally displayed. 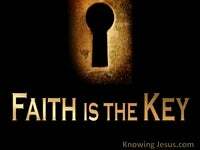 For the unsearchable riches of Christ were to be made known – TO whom? – to the, principalities and powers in heavenly places – BY whom? – by the church.. through the manifold wisdom of God. Creation alone would never have brought out the nature and character of God. There was infinitely more than the power and the wisdom reflected in creation. There was LOVE, MERCY, PATIENCE, TENDERNESS and GENTLENESS. There was HOLINESS, GOODNESS, GRACE and LONG-SUFFERING. But beware.. for the hissing Edamic serpent in the garden has morphed into the roaring lion of this age. As Peter tells us.. he is prowling around seeking a prey – walking up and down, throughout the world, seeking whom he may devour. 1Pet.5:8. His strategies are still wicked and highly refined with the passing of time. He still uses his favourite toys to tempt and ensnare. Examine yourself to see if you are a slave to the strategies of Satan, or seek the Spirit’s scrutiny of your inner being. No man or woman is secure from the ravages of pride and ego and self. No-one is exempt.. not even you! and certainly not me. 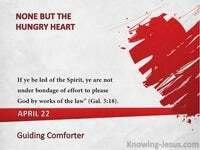 And so beware lest ye also being led away with the error of the wicked, fall from your own steadfastness. 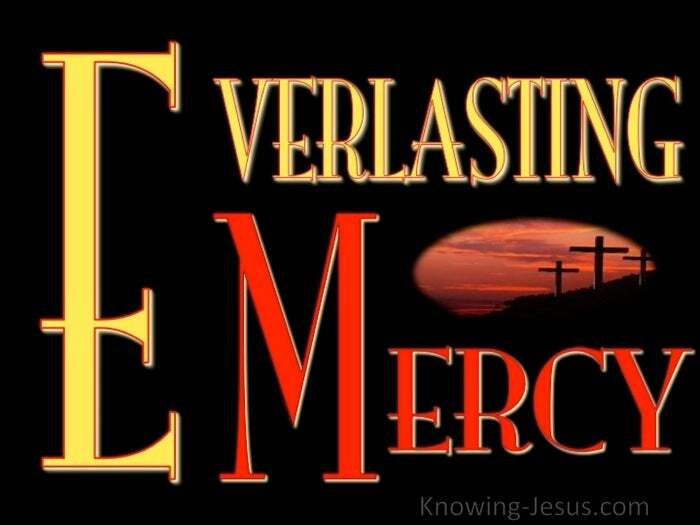 But praise God for His everlasting mercy.